Doesn't everybody love a food tour? Where to go and what to eat? 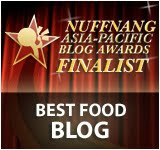 Where to find the hidden gems and which dishes are the specialty of the house? 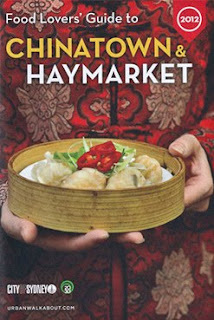 I'm excited to finally let you all know about my involvement with the new Food Lovers Guide to Chinatown and Haymarket published by Urban Walkabout. 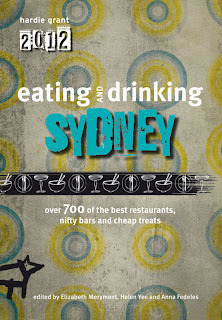 This free 34-page booklet highlights a mix of restaurants, pubs, sweets and more. 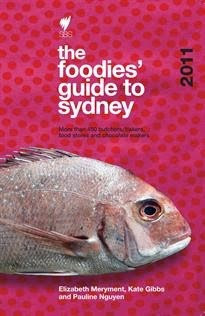 It has been designed to help tourists and Sydneysiders discover spots in Chinatown they may have never otherwise known. Inside this glossy pocket guide are 29 snapshot profiles, as well as section summaries and factual tidbits all written by me. The contributing team have also pulled together photos, a handy map, an interview with Kylie Kwong and a brief timeline showing the development of Sydney's Chinatown. This was a fantastic initiative to work on. I love the idea of highlighting good eats and helping more people appreciate how exciting Chinatown and Haymarket can be. Where else in Sydney can you find people making fresh dumplings, noodles and roti right before your eyes? It’s like food tv, except this one comes with smell-o-vision, and you can eat it too. any of the businesses featured in the guide. You can also read the blurbs online at Urban Walkabout. The Food Lovers Guide to Chinatown and Haymarket has been sponsored by the Haymarket Chamber of Commerce and supported by the City of Sydney and Tourism New South Wales. Leave a comment and let me know, where's your favourite eat or hidden secret in Chinatown? My gosh, I'm so excited, this is exactly what I need!! I love this area, but I don't know enough places around there :-) Good stuff Helen! Thank you Helen - i cannot wait to get my hungry little hands on this guide. Chinatown in Sydney is such a treasure trove - i know where ill be lurking on the weekend, thanks to this! Awesome! I always go to the same places when we're up there, wouldn't mind some more to try! That's awesome Helen, congrats! What a fabulous looking guide :) <3 Chinatown! Thank you, thank you! I know I will love this little guide! Great work, Helen! Can't wait to pick up a copy to read all about ir. Congratulation! Oooh! I'll pick one of those up next time I'm at Town Hall. Saw a big sign for Marigold yesterday while walking to Harry's - will definitely get there before we go back home! Congratulations! Must say that my Canberranness puts me in the fail category for Chinatown secrets, but I can unabashedly say that this is awesome for you, and you are marvellous! hehe....I picked this up yesterday =] I didn't realise you wrote it! Fantastic looking guide! Well done! Such a great idea, can't wait to check it out! Congratulations on writing such a resource. This is fabulous; congratulations, Helen! I'm off to try and find a copy now. Congrats Helen! 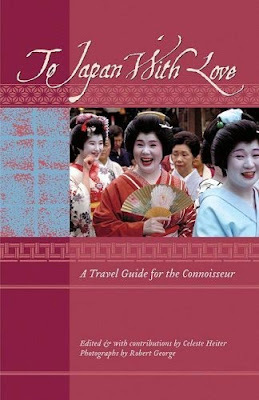 Now I've gotta go to Chinatown to get me one of these guides! What a great initiative to be a part of! Congrats Helen! I'm sure I'll find stuff in there I never knew about in Chinatown! Congratulations! I'm going to look forward to discovering your hidden little secrets all over Chinatown! Fantastic! I can't wait to get my greedy little hands on a copy! What great news Helen...congratulations and well deserved! Good guides (especially food ones) are invaluable! Great stuff, Helen - can't wait to read it all! Oh I work in Ultimo/Haymarket so this is perfect! Congrats, Helen. And, not much of a secret but you can always find me at Satang Thai! Hi Gianna - Chinatown is great isn't it? So tasty and cheap! Hi Fiona - Sometimes it's worth it to explore a few new spots. Hope you enjoy it! Hi Stephcookie - Thanks, and yes, the design is fab. Hi Anh - Hope you enjoy it. I love that it's so pocket-sized too. Hi Ellie - Thank you. Writing the blurbs was a challenge but fun! Hi Craig - Lots of spots to eat in Chinatown. Sounds like you are doing a great job eating up Sydney. Hi Von - lol. Too funny. Hi Joey - Thank you and yes, it looks very spiffy methinks. Hi Stephanie - Ah yes Menya is great for ramen. So much deliciousness. Hi Yas - Thanks and yes, a great tourism initiative for both locals and overseas visitors. Hi Forager - It was a great project to work on, and one that's close to my heart (and stomach!). Hi Amy - Heh. And best of all it's free. Hurrah! Hi Mademoiselle Delicieuse - It's fascinating to see how Chinatown has changed. I think it'll always be a gastronomic highlight in Sydney though. Hi Peter G - Thank you and yes, I agree. I think anything that gets people out there eating and exploring is good news for all. Hi Tina - Thanks. Hope you enjoy it! Hi Angie - lol. Always happy to sign a copy for you! Hi Kimberley - Satang Thai is great. Have yet to dine-in though. Will have to check it out. Hi Leon - Unfortunately there isn't a downloadable version of the booklet, although the blurbas are all viewable online here. It should also be available at tourist information booths at Town Hall and Martin Place. Hope you enjoy it! hehe- I just came back from a business trip at Sydney and happened to grab a copy of this. Little did I know it a contributor was fellow foodie friend! Big props- congrats!